Thanks to our reader-editors . . .
New role for chairman Mike . . . Writers rally to charities . . .
HOW MANY editors have you got? An American friend asked. You will know that every American magazine has a clutch of editors – literary, travel, women’s, political, social, feature, news etc. And his next question: how often each week do you meet for a conference? I felt a little humble giving my answer until I remembered that we actually have thousands. All we have to do is ask our readers for a few ideas of what they would like to see in the magazine and the suggestions pour in. So it’s time to say thank you once more to our subscribers who completed our questionnaire and put forward what they would like to see in the pages of Writers’ Forum. Exercises or assignments to try for our circle. We will take note and cover these points. Two are already featured in this issue: an assignment on point of view and a review of a first class book on writing for television. Listening to what your readers want is not new but few publications seem to bother today. When the Daily Mirror was a great newspaper, selling more than five million each day the letters page and incoming letters had a whole department sifting and monitoring their content. Today the Mirror cannot sell two million each day and is a pale shadow of its former self. When The Times was a paper of record The Editor would occasionally invite a member of the good and great to send in a letter on a given subject. And to have a letter published in The Times gave you a certain status. Sadly both papers have declined in influence. So once again, thank you subscribers who took the trouble to write in. Some years ago I wrote a book for the CBI on corporate charity. The aim of the book was to ensure "best practice" for companies and to ensure that they received recognition for their efforts. Researching the subject – an £18billion business in the U.K. – proved a fascinating task. I came across the phrase donor fatigue for the first time and saw the impact which the national lottery had on people’s giving habits. Well there was not much donor fatigue about when the call went out for help to the Tsunami victims. British people proved again that they are generous to worthwhile causes. I learned that giving reaches its two peaks at Christmas and Easter. Writers are to the forefront in charities, not only as donors, but in providing publicity. IT’S STRANGE the experiences which prompt us to write books. Mike Wilson, chairman of the National Association of Writers’ Groups ten years ago appeared in the Bridlington Town play, Come Hell or High Water. Since then Mike has portrayed the principal character, Kit Brown, on many occasions, written articles on his life and now has created a work of fiction – Full Fathom Five – around the real life characters of that era. Brown played a heroic part in the lifeboat disaster of 1898 which led to his death. Mike has found a rich seam to mine for there are more wrecks on the north-east coast than any other part of the British Isles, including Land’s End and the Lizard. For readers hooked on sea stories this is a gripping tale and well worth the £5.99 from Biscuit Publishing (0191 431 1263). It’s also a fine example of somebody who did not take any notice of people who said he would never be a writer. Mike pays generous tribute to the people who helped him to realise his ambition, including Bridlington Writers’ Group. YOU would imagine that a man who had written many award winning scripts for TV, film treatments and radio and stage plays including the world-famous Dangerfield would have no trouble placing a novel. Not so. It’s a different craft. 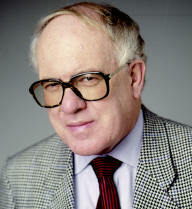 Don Shaw was modest enough to accept that view and has ended up spending £10,000 on self-publishing his book The Hike. In three weeks he sold 2,500 copies at one bookstore, has recouped his outlay and also gained a deal with Random House. He is now working on a sequel but claims that his daughter, who works in Foyles, will do better than her father. "She is brilliant at the killer phrase," he says. SO FAR we have never included the usual magazine rule in our competitions that members of the staff and their families are not eligible to enter competitions. All that will now have to change. For nine-year-old Murphy Cook, granddaughter of massive blue eyes, blonde curls and in no need of self-assertiveness classes rang up to say she had been learning to write an acrostic poem at school and could she enter our young writers’ competition. She is already not the kind of girl you would refuse. There was a succinct two line covering letter with three kisses and the poem. No photograph and no biography, as granddad knows what I look like and knows who I am. Snow. Snow. I love snow, it settles on my nose. No-one could not like snow because it is cold. Wow! Look how thick the snow is settling. Murphy Cook, aged 9. So now you know what an acrostic poem is. And so do I.